Some parents may experience a flash of panic when they hear that their child wants to major in Christian ministries. As much as it’s something to be proud of, it can be daunting to send children off to college only to learn that they are signing up for what many perceive to be a lifetime of service, fundraising, and moving to wherever they’re needed. At Azusa Pacific University, the School of Theology recognizes these concerns as well as the practical needs that every student faces. In addition to preparing students with a comprehensive foundation in biblical and theological practices, there are many opportunities within the school that build character and present a wide range of career choices. Much like Eagle Scouts, ROTC, and other respected programs that earn favor and recognition from many employers, ministry majors benefit from a strong connection with businesses that understand and appreciate Christian values. Parents can understandably be concerned about practical applications of a ministry degree, but the focus on holistic, alturistic values has wide-ranging effects on every aspect of a student’s career. Integrity is a core focus of the Christian ministries major, and employers across industries recognize that it is far easier to onboard new hires possessing admirable traits than it is to instill the levels of integrity, humility, and persistence formed through studying and living out the gospel. Many students who major in ministry or related studies never intend to lead congregations from behind the pulpit. Instead, they want to be professors, work in the nonprofit sector, or work in more office-oriented ministry positions at churches with full-time staff. These positions can include family ministry director, global missions minister, or any number of associate pastor positions that are less public-facing than the head pastor of a church. For students who feel called to traditional ministry, there is still a wide variety of career options that can provide them with a diverse and meaningful career, as well as the ability to support a family. Studying ministry provides one thing that is far more valuable than any salary and cannot be bought at any price: a sense of purpose and meaning in education, daily life, and career. Professors encourage students to approach the world’s complex set of problems and opportunities through a biblical lens, which brings a unique level of compassion, creativity, and confidence to the table—no matter the challenge. Blakelee Evans is a Christian ministries major at Azusa Pacific University. 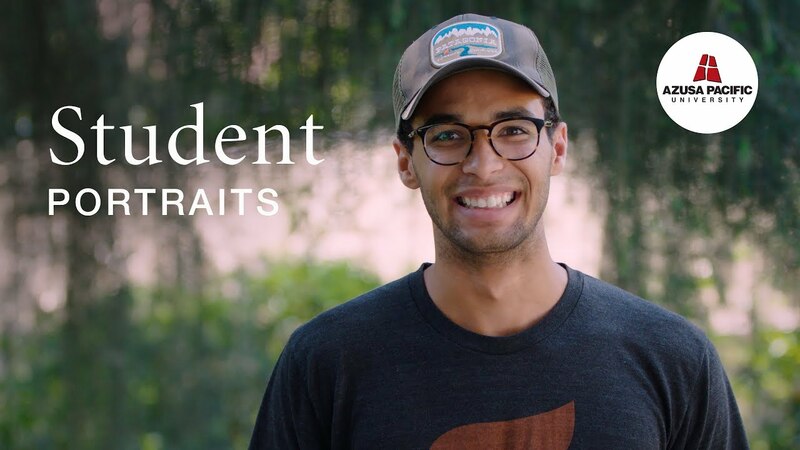 In discussing his studies at APU, he explains that he’s been able to carry much of what he has learned into the real world, particularly a class titled “Poverty and the Profit Motive,” where they wrestled with issues pertaining to finances, greed, and environmental stewardship. “I think having that practical integration of our theology into our day-to-day lives was just very impactful for me,” Evans notes. It’s understandable that parents might be concerned when they learn about their child’s desire to study ministry. However, they can rest assured that ministry is a field that provides not only a diverse skill set for future employment, but an eternal mindset. Majoring in Christian ministries can help your child become a resilient, compassionate, and well-rounded individual who is equipped to make a difference in the world, no matter his or her path.